Royal Tennis Club Marbella hosted from September 3 to 9 in 2018, Marbella Intecracy ITF CUP 2018 first edition. 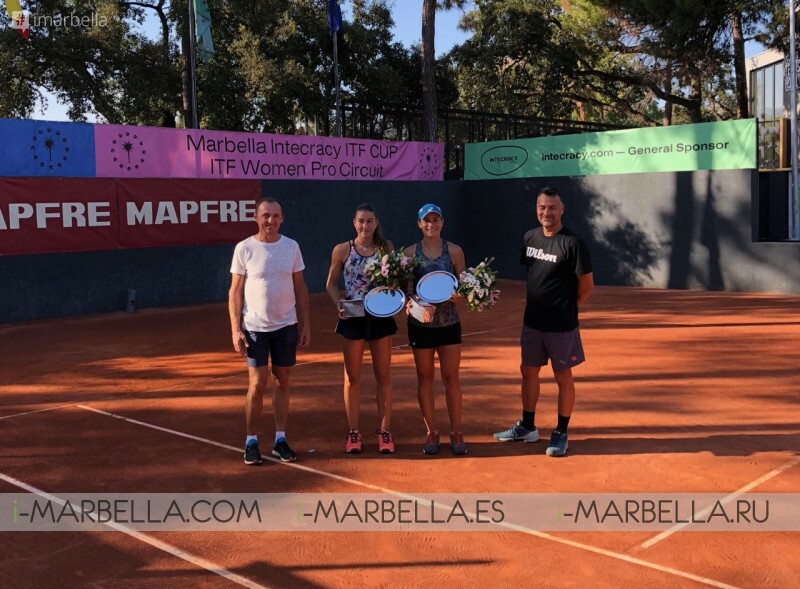 Where senior Gabriela Talaba beat unseeded Aleksandrina Naydenova, Bulgarian tennis player to win the Marbella Intecracy ITF CUP 2018 single category bringing the Marbella's stunning run to an end. In relation, to the doubles category, Gabriela Talaba and Claudia Hoste Ferrer won the double game beating Ana Latingua de la Nunez and Angeles Moreno Barranquero. Once again in Marbella, Tennis shows up as one of the most appealed sports in Costa del Sol, Spain. And it's definitely a fact, there are plenty of tennis clubs in Marbella that provide everything from tennis lessons to exiting competitions like Marbella Intecracy ITF CUP. 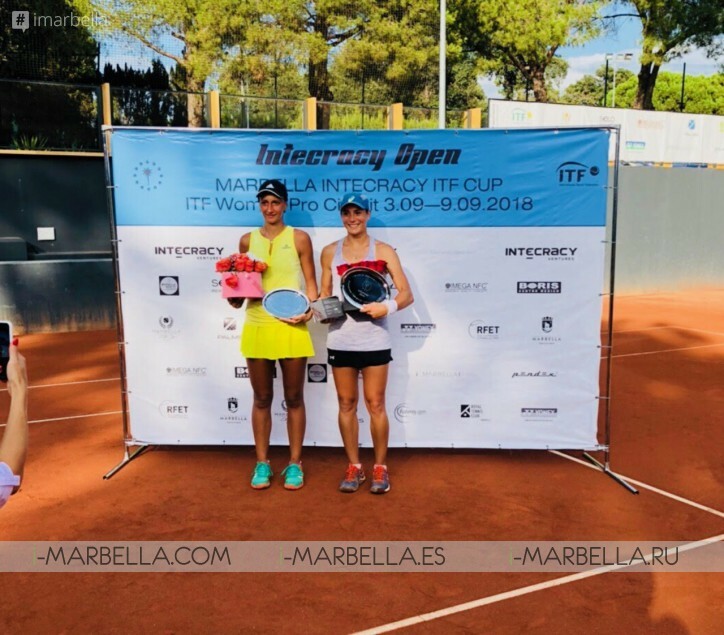 Marbella Intecracy ITF CUP brought the best of the international tennis women players, six days of full entertainment at the Royal Tennis Club Marbella with superwoman competing for the grand prize of no less than 15.000 bucks. Royal Tennis Club is located in the smart area of El Rosario. The club was originally known as 'El Casco' and the new Royal Tennis Club is focused on taking tennis into the 21st century, and keeping the best of the traditional game of tennis. 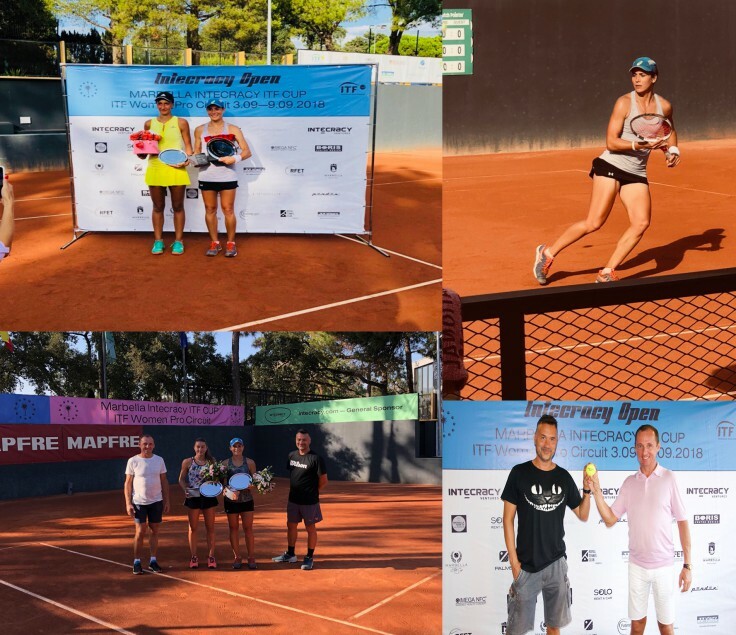 From September 3 to 9 the tournament Marbella Intecracy ITF Cup pro circuit women took place at the Royal Tennis Club Marbella, that counted with a general sponsor of the tournament - startup accelerator Intecracy Ventures. More than 70 participants from more than 15 countries attended the tournament that celebrated an inaugural party in which all guests and competitors had the opportunity to meet up and enjoy a night out with an entertaining program to soothe the mood before a week of hard competition. All the female competitors fought worthily and showed up what they are made of, especially at the semifinals and the finals. where the public enjoyed interesting and enjoyable tennis matches. Gabriela Talaba was the winner of the grand trophy 15.000 USD and claimed as champion in women single category beating down Aleksandrina Naydenova who took 2nd place. As for the women doubles category, again the American tennis player Gabriela Talaba together with the Spanish Claudia Hoste Ferrer won the final game to Ana Latingua de la Nunez and Angeles Moreno Barranquero who were the runners-up. The cycle of ITF women's tournaments is the second most important women's professional tennis tour. This tournament is held together with the Tennis Federation of Andalusia and they are planning to attract more than 80 participants and 300 spectators in 6 days. "Royal Tennis Club Marbella" provides a wide range of services for visitors - ground tennis courts, a large guarded parking lot, paddle courts, gym, bar-restaurant, residence for living, a sportswear store, a children's room, racket rental and racket stringing, tennis school, consultation of our qualified instructors and a full service.